Wish you all the luck in the world and out of it as well. 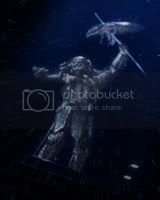 May you sell as many mugs and fings as there are in the heavens. You do a superb job with this exemplary site. all that you've done for us Tom. You could also Mouse mats or beer mats or even Tshirts. I'm not a coffee/tea drinker, but I do love multivitamin juice! This cup has Brian's Cauldron print on it! I love the cup and use it every day. Nice! A tip: Hand wash these mugs. I washed my first one years ago in the automatic dishwasher and it faded over time. Now I just hand wash them and they stay looking great. I'll have to post a photo of my "Stellar Engine" mug! Oh wow, you guys that is just too cool! So I have a question for everyone -- right now, our store only has mugs/steins available for purchase. We haven't had many sales (only a couple, actually, including mine), so I'm wondering: would you be interested in other items? CafePress has lots of items available. I started with the drinkware because I have purchased mugs from them, they are high quality, and the artwork we're putting on them fits the aspect ratio nicely -- but there's no reason we couldn't do other items. A long-term goal of mine has been to do a calendar of space art from our website -- maybe that would interest you? If there is an item they sell that you'd like to see SV artwork on, let me know by replying in this topic. 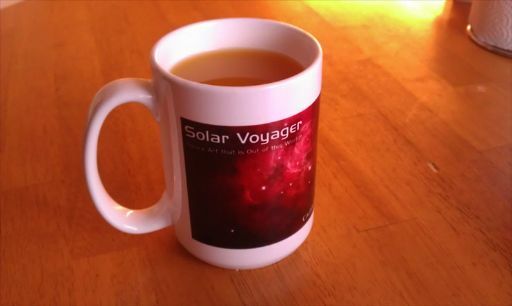 When we sell items in the Solar Voyager store, the proceeds go toward paying for our site hosting and if an artist's artwork sells above a certain level, those proceeds go to the artist. I'd buy any of those items you listed. I'd especially buy a SV calendar. Yes, I'm interested in the calendar too.